Refrigerators are a must-have now that summer has begun. With a fridge, you can have a refreshingly cold drink of water after a day's work or a glass of chilled lassi after a meal. And if your needs are small, why invest in a full-sized refrigerator when you can buy a portable mini refrigerator at a fraction of the cost that you can carry around with minimum effort. A mini fridge for home comes with adequate space to store food and enough shelves in the door to store bottles. An added advantage is that a small fridge is ideal if you tend to shift residences often as their small size allows you to carry it around with ease. If you would like to keep a private stash of food and beverages at work or home, small size refrigerator is a good choice as they are tiny enough to fit under your desk, for example, in obscurity. 50 litres refrigerators consume much less power and are easy to clean. Stay cool this summer with the range of 100-litre mini fridges, 50-litre fridges and mini car refrigerators listed in this small fridge price list, where their lowest selling price is collected from online stores across major cities in India. The mini refrigerator online price in India was last updated on 25th April 2019. 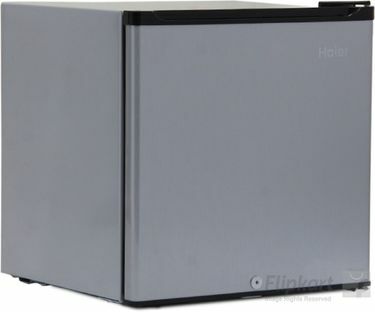 Also displayed are small refrigerator price, brand, capacity, and star rating. The mini refrigerator online India are available from brands like LG, Panasonic, Haier, Electrolux, Kelvinator, Samsung, Godrej to name a few. Get ready to buy one by having a look at the room refrigerator prices from the below price list of 179 small refrigerator in India.